Art by Harry Anderson & Bill Ward from the story “I Took the Wrong Road” in DIARY LOVES #7, 1950. 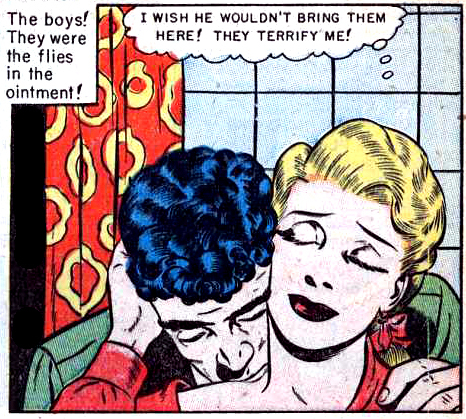 HER: Boys terrify me. But keep kissing me. It makes me forget how much you scare me. Quick! I feel a panic attack coming on! So throw in a hickey or two. More lip. Less teeth.